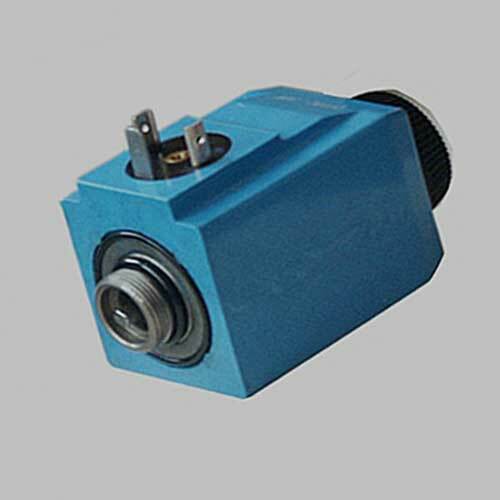 As we know, solenoid valve mainly consists of the solenoid and magnetic core. 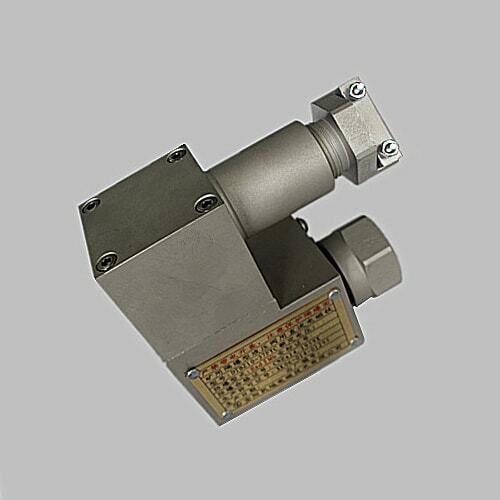 The electromagnetic component of the solenoid valve is composed of the fixed iron core, moving iron core and coil, and the valve body is usually composed of the slide valve core, slide valve sleeve and spring base. When the solenoid coil is powered on or off, the movement of the magnetic core will correspondingly control the flow of the fluid to change its direction. 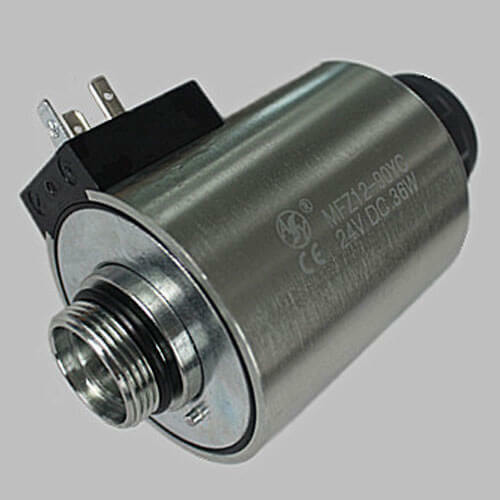 In addition, the solenoid coil is installed directly on the valve body, which is enclosed in the sealing tube, forming a compact combination. 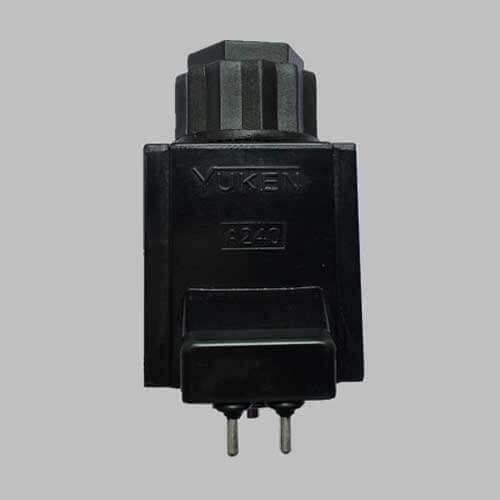 In our daily production, the solenoid valves we commonly used are the two positions three-way valve, two positions four-way valve and the two positions five-way valve. But from the perspective of theory, the solenoid valve can be divided into three kinds, namely: direct-acting solenoid valve, distributed direct-acting solenoid valve and the pilot-operated solenoid valve. Principle: when the direct-acting solenoid valve is powered on, the electromagnetic force produced by the solenoid coil will lift the closure member from the valve seat, then the valve open. When the power is off, the electromagnetic force will disappear and the closure member will be pressed on the valve seat by spring, then the valve closes. Characteristic: the direct-acting solenoid valve can work normally under vacuum, negative pressure and zero pressure, but its diameter should be generally no more than 25mm. Principle: the distributed direct-acting solenoid valve is a kind of valve which combines the direct-acting and the pilot. When there is no pressure difference between the inlet and outlet, open the power supply, the electromagnetic force will directly lift the closure member of the pilot small valve and the main valve, then the valve opens. When there is a pressure difference between the inlet and outlet, the lower chamber pressure of the pilot small valve and the main valve will rise up and the pressure of the upper chamber will go down. Such a pressure difference will push the main valve upward. When the power is off, the pilot valve will use spring force or medium pressure to push the closure member downward to close the valve. Characteristic: This valve can be operated under zero pressure difference, vacuum and high pressure, but it needs high power and horizontal installation. Principle: When the current is switched on, the electromagnetic force will open all pilot ports, and the pressure in the upper chamber will drop rapidly, forming an upward and downward pressure difference around the closure member. Then, the fluid pressure will push the closure member upward, and the valve opens. When the power is cut off, the spring force will close the pilot ports, and the inlet pressure will enter the chamber rapidly through the bypass port, forming a pressure difference of low pressure and high pressure around the closure member. After that, the fluid pressure will push the closure member downward to close the valve. Characteristic: The upper limit of fluid pressure range is high. This valve can be installed freely but it must meet the fluid pressure difference condition. 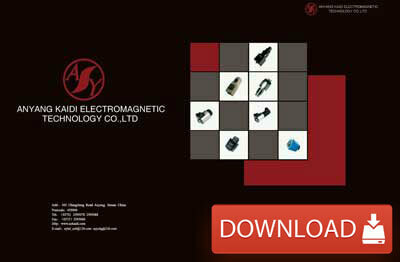 Normally, when the coil is electrified, a magnetic push will be made on the moving iron core. Then the moving iron core will change the position of sliding valve core and the direction of fluid. 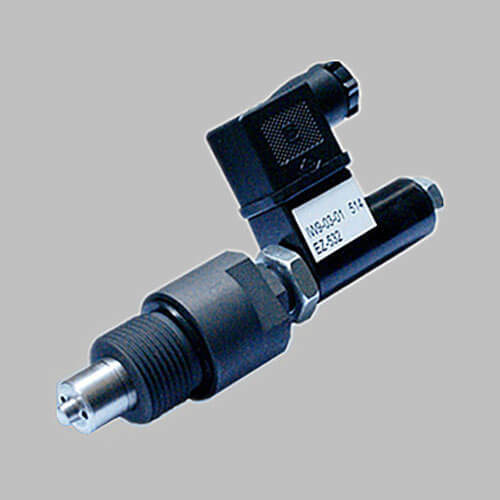 However, in some special cases, the direction of the solenoid valve will not be changed. At this moment, we need to manually push the valve core with a small screwdriver to determine whether the core is stuck, and check the electrical signal or replace the solenoid valve for inspection. We can also use the multimeter to measure the electromagnetic coil. We need firstly increase the coil resistance to 120Ω, after the coil temperature dropped to normal, detect the resistance. 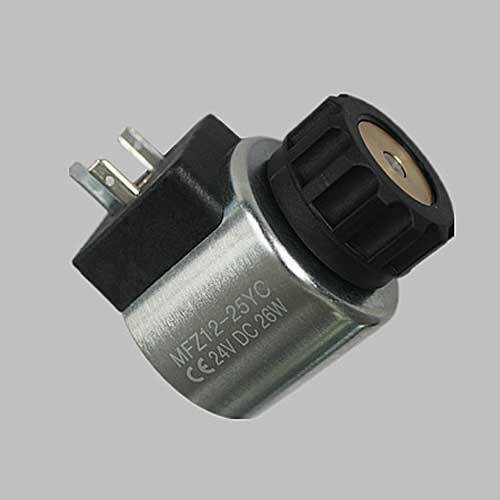 In theory, the electromagnetic force is directly proportional to the square of the current, so we can judge whether the fault of the solenoid valve is caused by the change of coil resistance value. In addition, the gap between the slide valve buckle and the valve core is very small (less than 0.01mm). When mechanical impurities enter or there is too little lubricating oil in the gap, the sliding resistance of the valve core in the slide valve buckle will increase so that leading to malfunction. The coil of solenoid valve should be cooled to prevent the increase of resistance due to high ambient temperature. Check whether the oil mist port is blocked, ensure the oil supply is normal and reduce the friction between the valve core and the slide valve sleeve.